If you’re looking for a holiday destination that is one-of-a-kind, check out this post about Louisiana adventures. I asked peer travel writer, Arin Holiday, who is currently driving across the USA, to share with us her travel tips for a summer adventure in Louisiana. Here we go with Louisiana: a Summer Adventure. Louisiana is a place in the USA which is full of life and character. It is a place associated highly with fun, activity and team spirit. If you want to enjoy a great holiday this summer in the USA, try visiting Louisiana and try these things. In the summertime, we often get a little overheated, and the best thing we can do is find some water to cool off and get some much-needed exercise into our day. If you are hot during your stay. The Blue Bayou Water Park can be the ideal place for you and the kids to come for the day. You can bring your own drinks with you for the day and spend your time playing on water slides, jumping in the pool, and playing catch with the family. For a relaxing time during the summer sun, you can visit Denham Springs and chill out for the day as you float in the water and go Tiki Tubing. There are lots of amazing animals and plant to see during your stay, and the Baton Rouge Zoo can be a really great place to take the whole family for a day visiting some of the most amazing animals in the world. You can also take pad in talks and classes at the zoo to help educate your children on how important wildlife is and how our planet works. You can also head over to one of the many parks in the area and take a stroll as you see some of the native mammals and birds which live here. Book a stay at Sleep Inn Jonesboro and then pack up a bag for the day to go for an adventure with your family. You can enjoy activities such as mini golf, go-Kart racing, trampolining, watersports and rock wall climbing. Don’t be afraid to try some new things during your stay and have some fun completing activities as a team or against each other. You can even go for a hike in the mountains and take a picnic with you for an epic day out. The Children’s Museum of Acadiana is a great way to get your child learning as well as learning a thing or two yourself. You can take part in classes and special events during the year and enjoy learning more about science and history. You can also visit the U.S.S. KIDD on the river and learn about where it has been and the things it has done during its life. 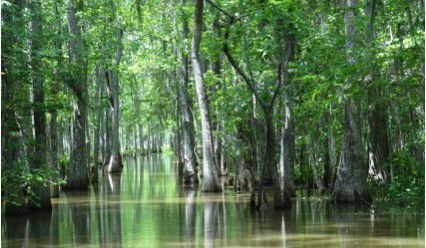 Nature is definitely something which is huge in this part of the USA, and you can have some fun one day by visiting Cajun country and taking a boat out on the swamp. Being in the swamp will seem surreal and it will feel as if you are in another world entirely. You will notice some amazing plants and animals during the trip and you can hear about some crazy legends in the area too.